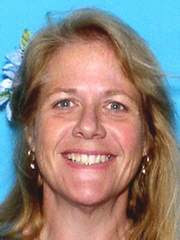 Pamela Long Wiggins is Arrested: Billings Safe Found? by Maggie • July 16, 2009 • Comments Off on Pamela Long Wiggins is Arrested: Billings Safe Found? Just reported, an object has been found on The Wharf in Orange Beach, Alabama where Pamela Long Wiggins, or Pamela Laverne Long Wiggins was found yesterday. Eight people are now under arrest in connection with the murders of Byrd and Melanie Billings. Billings safe found? 11: 16 a.m. authorities are now confirming that the Billings safe has been found. See 8-10-09 updates below with new video. The “object” is speculated to be the safe taken from the Billings’ home. FOXNews showed a covered object being removed from the The Wharf in Orange Beach, Alabama. Long-Wiggins was returned to Escambia County, Florida yesterday and arrested last night on charges of “an accessory after the fact to felony murder,” in connection with the murder of Byrd and Melanie Billings. The safe has been found and is being processed. Sheriff Morgan says that there are other “people of interest” being investigated that be of substance…or not, to the Billings murders. Mr. and Mrs. Billings, to the “best of” Sheriff Morgan’s “knowledge” are not being investigated by the DEA (evidently rumors are swirling about this), although the DEA is involved with someone or some thing connected to the murders. Authorities say that they still believe some one other than those now in custody is being sought in connection with the Billings’ security system. State Attorney Eddins says guns have been found and they believe they have the murder weapon(s). The Sheriff believes that additional motives will be found, other than just robbery. Today there are speculations unconfirmed by authorities that Patrick Gonzalez, Jr. was the lone shooter and planned a contract hit on the Billings, while telling those at the murder scene with him and now charged with murder, that a home invasion robbery, only, was planned. A second safe containing $100,000.00 is said to have been found in the home that the robbers/murders could not access. Authorities have not confirmed this safe. Another arrest has been with possible links to the Billings’ murders. Henry Cab Tice owned Byrd Billings $10,000 and Billings had filed a complaint against Tice in May 2008 for grand theft. See Henry Cab Tice is Byrd Billings Arrested Debtor: Tice Billings Mexican Mafia? Pamela Long Wiggins Bail, Billings Murders: Pamela Wiggins Multiple Marriages?